Shrimp tempura maki covered with eel and avocado. 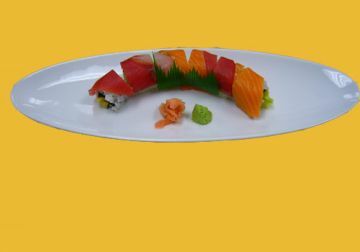 Crabmeat, cucumber, tobiko, mayo, covered with tuna, salmon and whitefish. 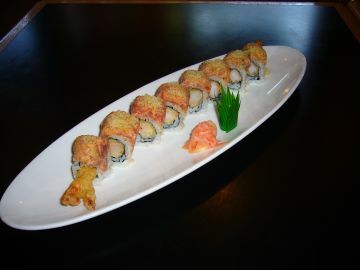 Shrimp tempura maki covered w. spicy tuna and tempura flakes. Eel, cucumber, spicy mayo, covered with avocado. Spicy salmon with avocado wrapped in seaweed & lightly fried. 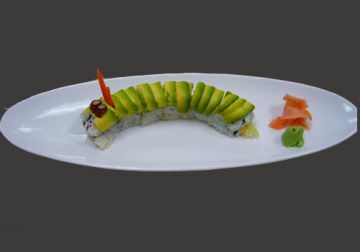 Shrimp tempura maki covered with cooked shrimp & avocado. 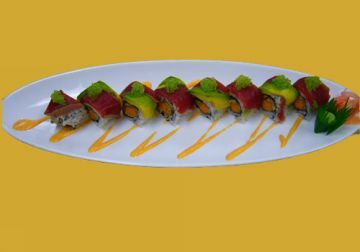 Fried sweet potato, eel maki covered with seared tuna, avocado, wasabi tobiko and spicy mayo. California covered with salmon and baked to perfection. Wasabi, tobiko on the top with spicy mayo. 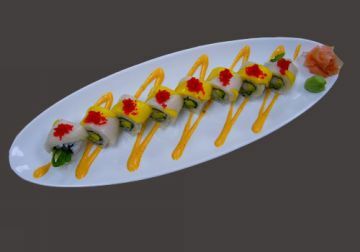 Crabmeat, mayo, cucumber, avocado covered with white tuna, mango, tobiko and spicy mayo. 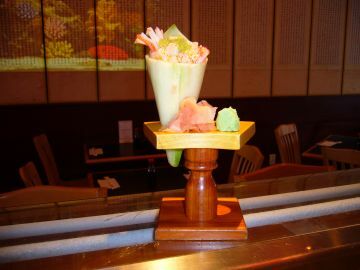 Mango, cream cheese, tempura flake, with layer of eel avocado and eel sauce. Fried yellowtail, crabmeat, tobiko & avocado with eel sauce. Tuna, salmon and whitefish mixed vegetable wrapped in a cucumber. Served with house special sauce. Consuming raw or undercooked meats,poultry,Seafood shellfish, or eggs may increase your risk of foodborne illness,especially if you have certain medical conditions. Any maki inside out $1.00 extra. 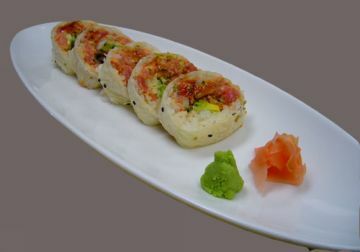 Maki with Tobiko $1.00 extra. Roll ) same price 1 piece per order.